Despite her congressional testimony, the Internal Revenue Service today denied that the former commissioner of tax exempt and government entities - now running the agency's health care office - was in charge of the unit's day-to-day operations after Dec. 2010. Sarah Hall Ingram retained the title of commissioner, with oversight over tax-exempt groups, but the IRS says she moved to the agency's Affordable Care Act office full time by the end of 2010, six months after the tax agency began selectively scrutinizing conservative groups. 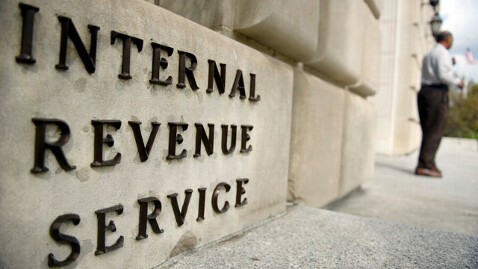 Her successor as commissioner, Joseph Grant, said Thursday that he would retire from the IRS in early June. Grant received the post on a permanent basis last week. "Sarah has been assigned full-time to ACA activities since December 2010," an IRS spokesman said in a statement. "Joseph Grant began acting as Commissioner [of tax exempt and government entities] in December 2010. Ingram was not running TE/GE on a day-to-day basis during the time frame in question." Despite the agency's assertion today, however, Ingram maintained her title as commissioner of tax exempt and government entities, using it in testimony she delivered to congress in November 2011 and May 2012. In late 2011, Ingram indicated that she served in two positions simultaneously. "My name is Sarah Hall Ingram and I'm commissioner of the Tax Exempt and Government Entities Operating Division at the Internal Revenue Service. And I also serve as the executive lead for the IRS Operational Planning and Implementation of the Tax Law Provisions of the Affordable Care Act of 2010," she testified before the House Ways and Means Committee Nov. 15, 2011. And in this May 2012 testimony in the Senate Finance Committee over Indian tribes' tax-exempt status, Ingram testified in her capacity as commissioner of tax-exempt groups, despite the IRS's assertion that she was only responsible for the Affordable Care Act after 2010. According to an inspector general report, a group within the IRS's Cincinnati office began the practice of scrutinizing tea party applications for 501(c)4 tax-exempt status in July 2010, during Ingram's tenure over the tax-exempt and government-entities division. Her subordinate, Lois Lerner, director of tax-exempt organizations, did not learn about the practice until June 2011. Speaking during a congressional hearing this morning, outgoing IRS acting director Steven Miller defended his decision to elevate Ingram to her latest position. "She's a superb civil servant, sir," he said in response to a question from Rep. Pat Tiberi, R-Ohio. When asked whether she was involved in the recent controversy, Miller said, "I wouldn't imagine so."